This is a simple, fast to made and tasty dish. 1. Boil some water in the casserole, add a bit Kitchen Salt Italki and the Spaghetti Grano Armando or Garofalo . Cook the Spaghetti for 11 minutes (al dente). 2. Heat the Olive Oil Extravirgin Frantoio Santa Tea or Fonte di Foiano Oil and the Spices Mix Borghini in the pan until slightly browned. Be careful to not overcook the sauce! 3. Drain and reserve two tablespoons of the cooking water. 4. Add the spaghetti to the oil and spice sauce, toss so that the spaghetti is coated in the sauce and everything is well combined. Add a bit of the reserved cooking water. 5. Piatto pronto! Buon Appetito! Hint. The secret of this simple recipe is the selection of the best quality ingredients. 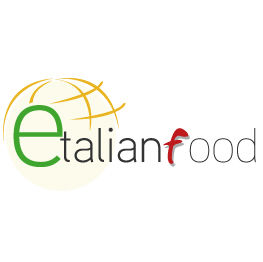 To obtain the best results Etalin food advices to use only Italian Autenthic Ingredients.